World Heart Day is being observed on September 29 and this year's focus is on cardiovascular disease prevention among women and children. Although poverty, malaria, AIDS and chronic diseases account for more than 53 per cent of all deaths, with people moving up the socio-economic ladder, lifestyle diseases have also emerged as a major killer, and heart disease is one of the main lifestyle diseases. Each year CVDs kill over 8.6 million women globally. This figure is more than the total number of women who die from all cancers, tuberculosis, HIV/AIDS and malaria combined. This alarming figure has made WHO focus on CVDs among women by running the Go Red for Women Campaign to improve women's knowledge of heart disease and stroke. Improved knowledge will help them take action and achieve longer, better heart-healthy lives. Remember that heart disease and stroke do not affect only men or older and rich populations. CVDs affect as many women as men. Unfortunately , women's risk is grossly underestimated. You will be surprised to know that heart disease is actually the number one killer of women. It accounts for 1 in 3 female deaths. Shocking, but true it is. In this scenario it is vital that women learn the truth about their CVD risk and take action to protect themselves and their family. Even children are vulnerable . The risk for CVDs can begin during foetal development, and increase further during childhood with exposure to unhealthy diet, lack of exercise and smoking. Modern materialistic society is exposing children to risk factors such as diets high in "bad" fats and sugar. Today's children are comfortable with activities such as playing computer games and watching TV programmes. They avoid physical activity. In some countries they also take up tobacco consumption at very early age or are exposed to secondhand tobacco smoke. All these are making them vulnerable to CVDs. You must know that the heart is a muscular pump in the chest. It must beat continuously to send blood to the lungs and the rest of the body. Simply put, when the arteries get clogged with bad cholesterol, plaque, scar tissue, or calcium, the heart slows down and finds it difficult to circulate blood. This slowing down leads to problems from chest pain to heart failure to a heart attack. Chest pain is the first symptom of a heart attack. This is brought on by exertion. And you can relieve it by taking rest. 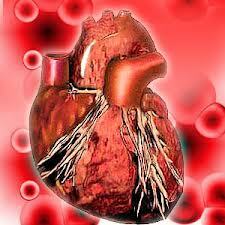 The major symptoms of a heart attack are intense chest pain, sudden cold, sweating, weakness and nausea. This is confirmed by electrocardiography, angiography and also x-ray . One invites CVDs through tobacco use, alcohol use, high blood pressure which is also called hypertension, high cholesterol , obesity, physical inactivity and unhealthy diets. The factors like high blood pressure and cholesterol, family history, cigarette smoking, diabetes are well known. In addition there are congenital risks. In this category people are born with these problems like imperfect heart valves and genetic problems that promote hardening of the arteries. Once the problem is identified you must go in for intensive follow up which may lead to lifestyle modification, appropriate medication, exercise therapies and diet control. These can be accomplished with a combination of individual as well as group therapies. It is estimated that by 2020, CVDs will be the largest cause of disability and death in India . We have more than 40.9 million people with diabetes, while there are 118 million people with hypertension and this figure is expected to increase to 69.9 and 213 million, respectively , by 2025. WHO estimates that India will lose 237 billion dollars in national income from premature deaths due to heart disease , stroke and diabetes by 2015. We all can make an effort to educate our family members and friends to help prevent heart disease. One can bring risk factors like high blood pressure, high cholesterol levels under control by following heart-healthy diet, exercising, improving cholesterol levels, controlling diabetes and high blood pressure, by controlling weight, managing stress and not smoking. The WHO Programme on Cardiovascular Diseases (CVD) is concerned with prevention, management and monitoring of CVD globally. It aims to develop global strategies to reduce the incidence, morbidity and mortality of CVD by effectively reducing CVD risk factors and their determinants, developing cost effective and equitable health care innovations for management of CVD and monitoring trends of CVD and their risk factors. Let us all join hands and adopt healthy lifestyle by remaining alert to the pain and making an effort to reduce the stress. We must not forget that prevention is better than cure and the bottom line for prevention is to follow a hearthealthy lifestyle and enjoy healthy heart.